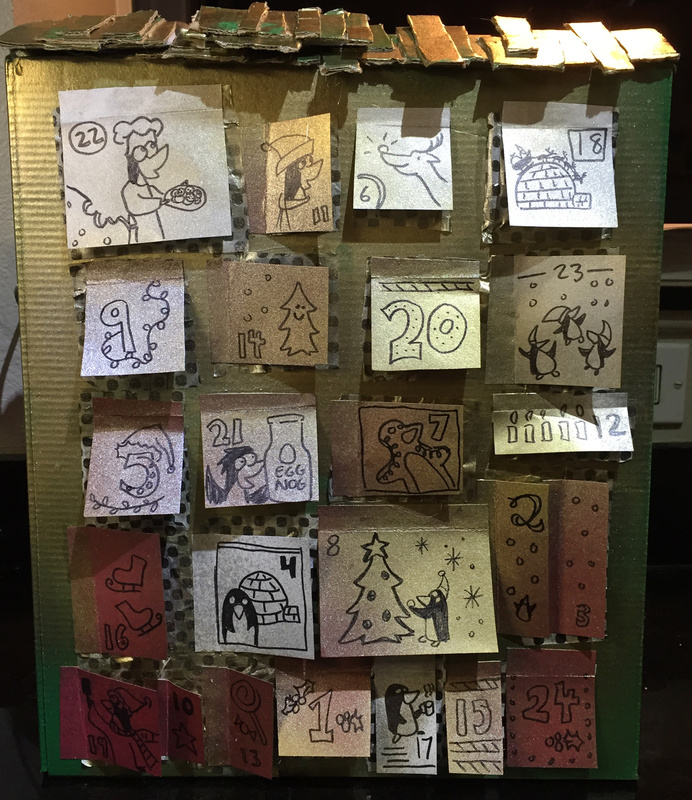 Eliot was looking at advent calendars online, and that inspired me to design my own. I had some priority mail boxes laying around, so I cut an opening into it, and used assorted upcycled containers to create 24 cavities to hold candy and treats. 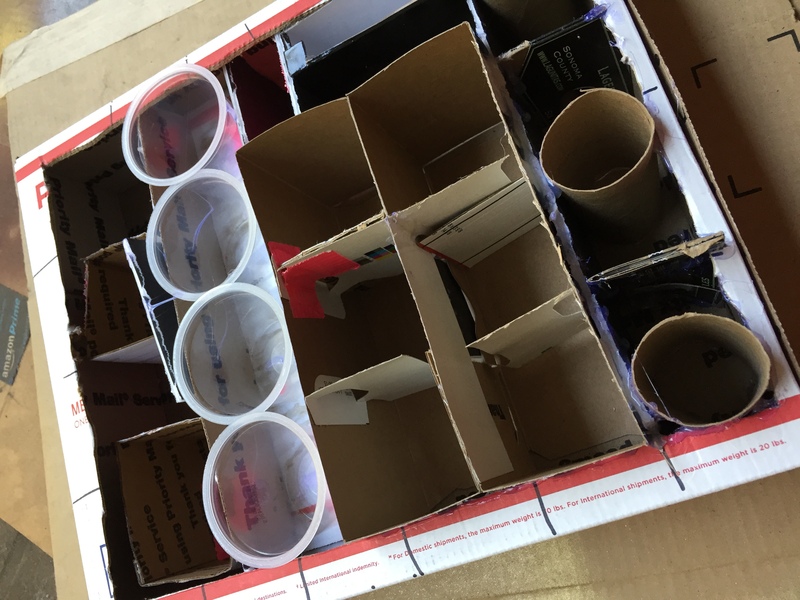 Ideally, if you saved a bunch of toilet paper rolls, you could build this a lot easier, but I hadn’t been collecting them for long. 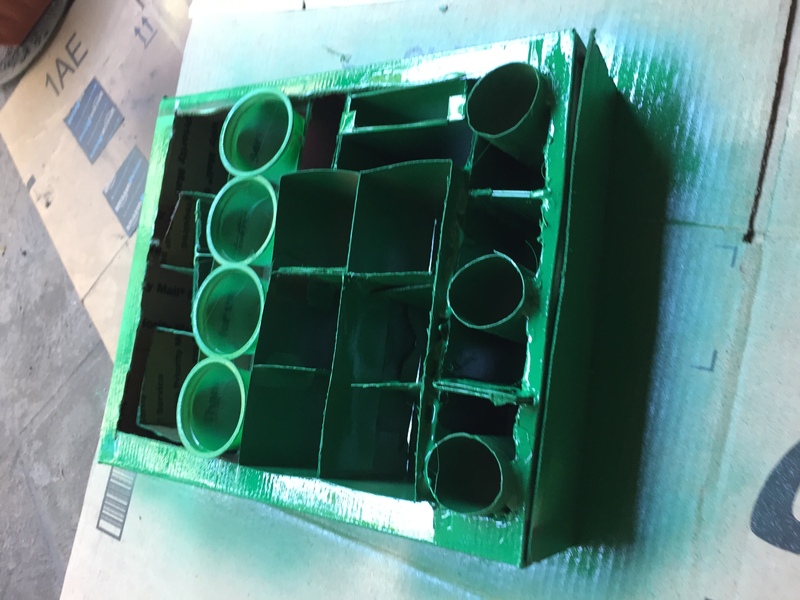 I ended up using a cider 6-pack box which fell apart and had to be re-glued. I also used a bunch of pudding cups, which worked out pretty well. The whole thing was taped and hot glued together, with a second box over top. I spraypainted everything and sealed it. After it dried, I filled the compartments. The whole thing was taped and hot glued together, with a second box over top. The holes were all covered in tissue paper, with another layer of gold and silver spray paint over the top. I sealed that layer, then drew all over it with a sharpie, numbering the calendar. Merry Christmas! You still have time to build your own before December 1!